Saxon Woden or Odin (the Chief Northern Sky God) is swallowed by the wolf, Fenrir at sunset each day. By morning he had managed to battle his way out by cutting the wolf open and this explained the succession of day by night. Wednesday was named for this god who sprang whole from the wolf's moutheach morning. 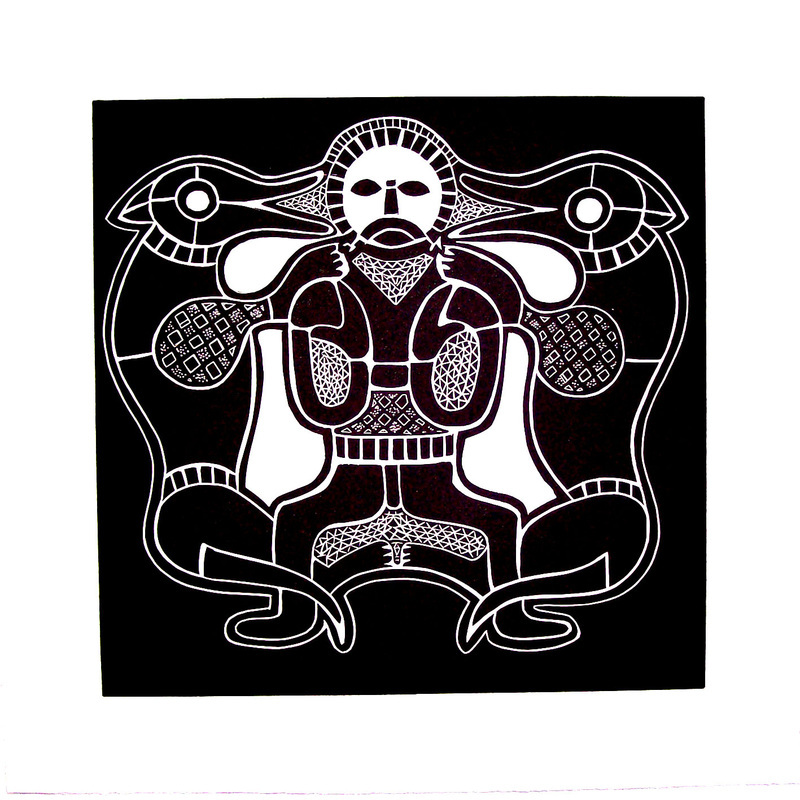 This image was derived from an enamelled purse closure found in a Saxon ship burial dating from about 700AD at Sutton Hoo, England. The wolves were earlier identified as Skoll - the sun swallower and Hati - the moon swallower. Later they were known as Fenrir - the sun swallower who kills Woden / Odin and Garm who kills Tyr at Ragnorok - an event which describes the end of the world.